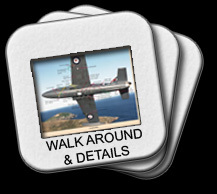 MB-326H airframe & cockpit details with notes and explanations for the scale modeller. 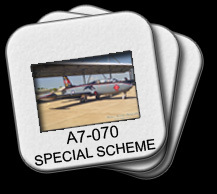 General photos & markings details of A7-070 in 76sqn 50th & Macchi 25th Anniversaries scheme. General photos & markings details of A7-022 in 76sqn 55th Anniversary scheme. A small selection of photos from the only time A7-022 & 070 were photographed together.